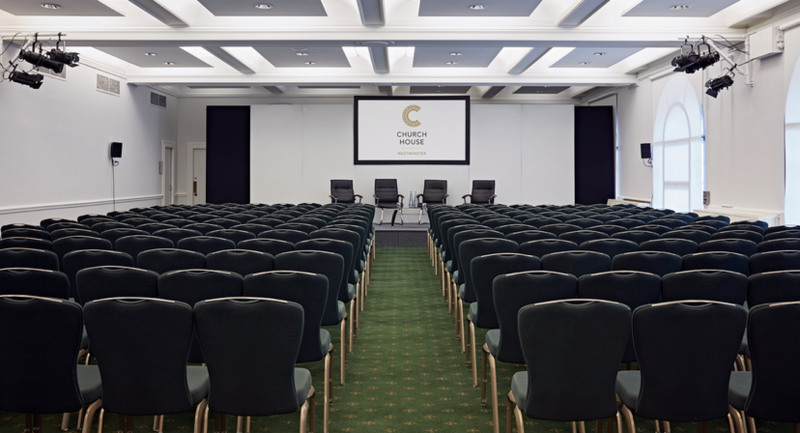 Church House Westminster is a grade II listed multi-purpose conference and event venue, located in the heart of London. 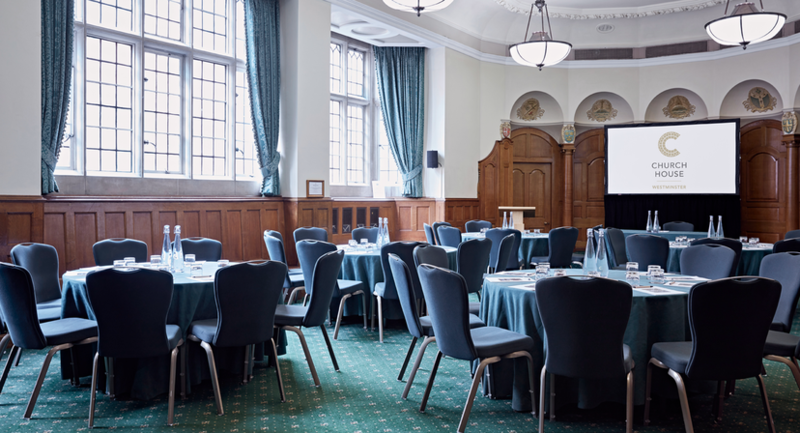 With 19 rooms full of character, ranging from the large and impressive conference room to the small and intimate meeting space, our flexible event spaces can accommodate up to 664 guests in a single hire space and be adapted to fit all event requirements. With beautiful oak panelling, fair-faced stone and feature windows, Church House is a perfect blend of character and modern functionality. Almost all of our 19 air-conditioned spaces benefit from natural daylight and can accommodate a wide range of private and corporate events. The venue has a number of break out spaces which complement our main Assembly Hall and other larger rooms. Free Wi-Fi is provided throughout the building. One of the capital’s true hidden gems, we are set in within Dean’s Yard and offer a peaceful and green setting along with stunning views of Westminster Abbey whilst being only a few minutes’ walk from several London attractions including Big Ben, The Houses of Parliament and St. James’s Park. Customer service is at the heart of everything we do and our award winning events, catering, AV and porter teams will look after every part of your event to ensure that everything runs seamlessly. Our recent awards include; AIM Gold and BDRC Venue Verdict Gold Standard 2018. We also hold a Green Tourism Silver Award. Modern and spacious, our Harvey Goodwin Suite is a self-contained room with all the latest facilities. Its large and secondary glazed windows allow for plenty of natural daylight, whilst keeping the room sound-proofed. It is directly linked to our Robert Runcie Room, which can be used as a breakout space. 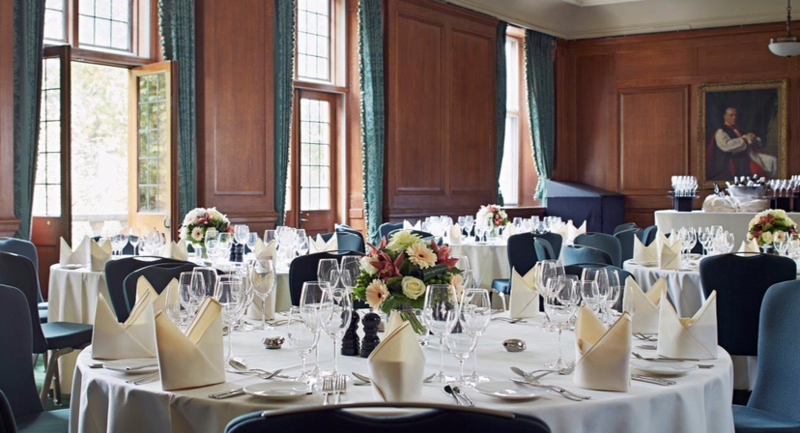 The Harvey Goodwin Suite is 228 square metres and is situated close to our Great Smith Street entrance, making it easily accessible for guests. 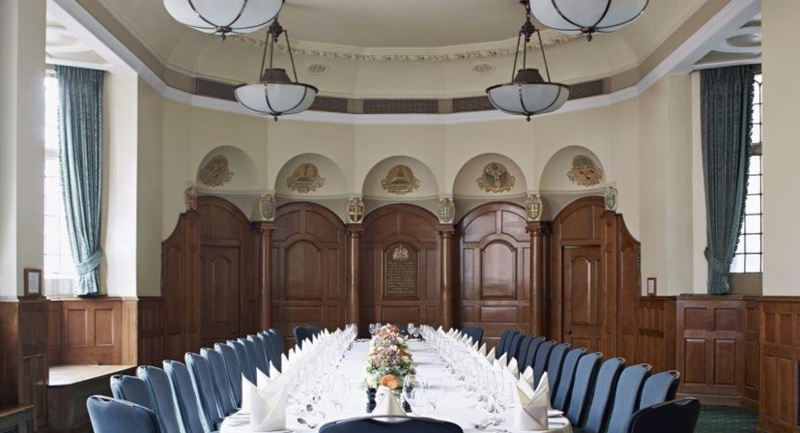 Our Robert Runcie Room offers a spacious yet intimate setting for up to 120 guests. 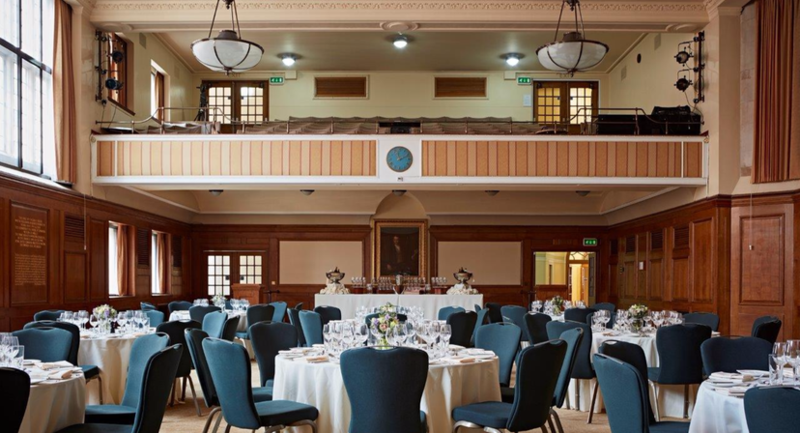 Located on the lower ground floor, the room is 161 square metres and has a private staircase leading to the Harvey Goodwin Suite so the two rooms can easily be used in conjunction with each other. 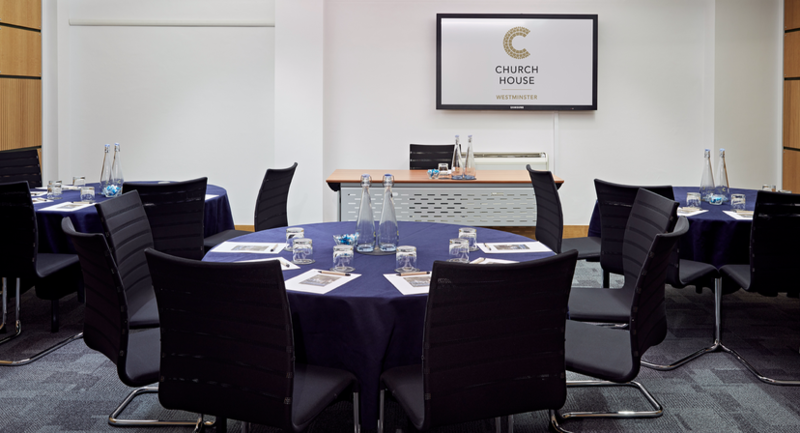 Used by the Archbishops of Canterbury and York as their offices during General Synod, York room and the adjacent Canterbury room are full of history and are well suited for private meetings, one-to-one discussions and interviews. They can also be used as breakout spaces or an organiser's office for conferences and corporate events. York room is 19 square metres. 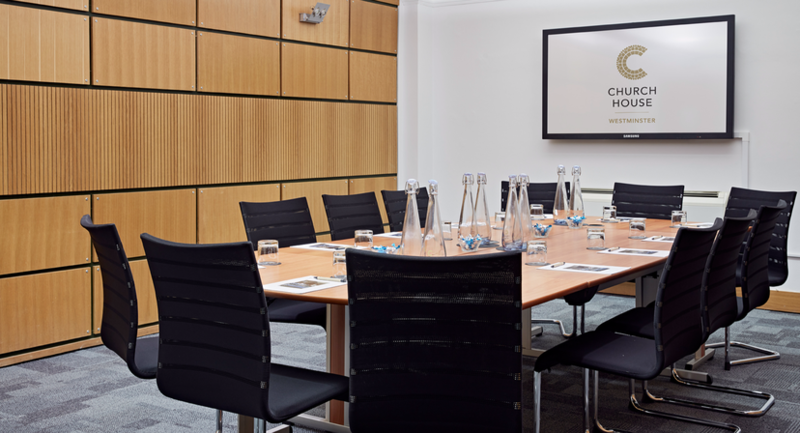 Located on the lower ground floor, our Ramsey Room is 40 square metres and is one of three small rooms purpose built for meetings, training and workshops. It has its own projector and screen and can be used individually or in conjunction with our Temple Room and Coggan Room. 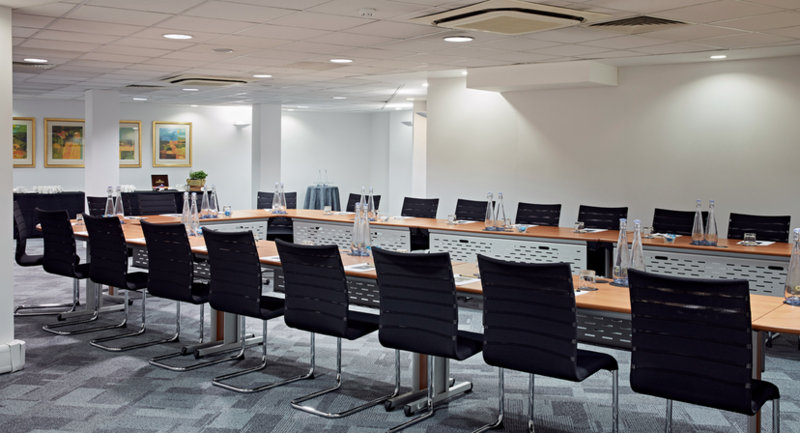 Located on the lower ground floor, the Temple Room is 34 square metres and is one of three small rooms purpose built for meetings, training and workshops. It has its own projector and screen and can be used individually or in conjunction with our Ramsey Room and Coggan Room. 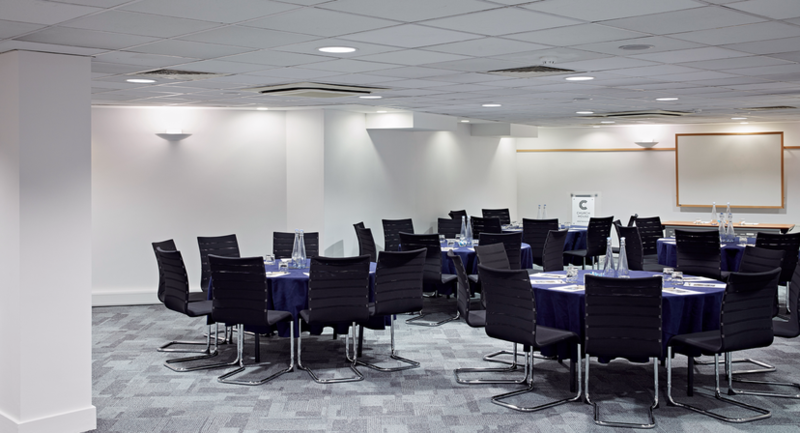 Located on the lower ground floor, our Coggan Room is 38 square metres and can accommodate up to 25 people. It is one of three small rooms purpose-built for meetings, training and workshops. It has its own projector and screen and can be used individually or in conjunction with our Ramsey Room and Temple Room.